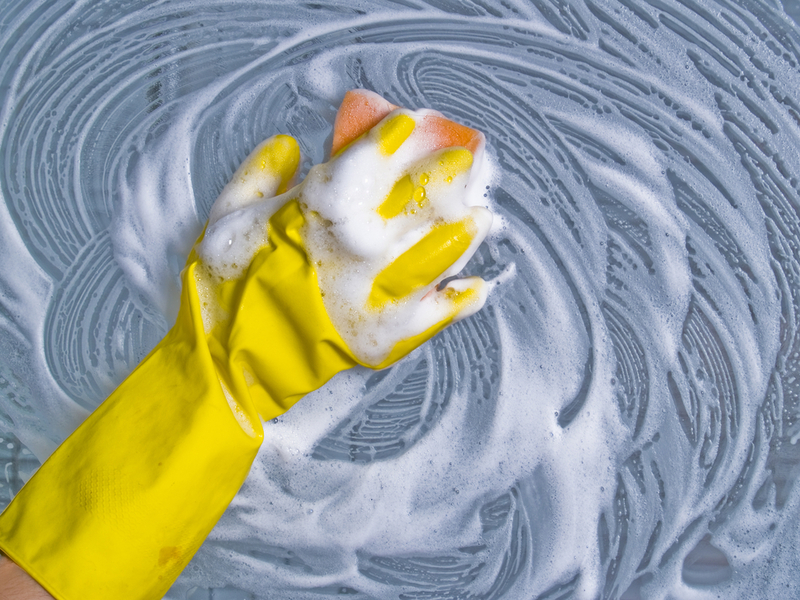 When you’ve got kids running around the house more, especially during holiday times, keeping your windows sparkling clean can be a problem. Easter seems to be the worst of all because hands covered in chocolate get everywhere, and the sun starts to shine a bit more, making the windows look even worse! So, it’s time to get them cleaned, but how? Well, although you’d know us as traditional window cleaners with those big poles that clean the outside so well, we can also do the inside. Obviously without the pole! We are fully insured, and as long as you can clean all that valuable and delicate pottery off the windowsill, we’ll do an incredible job on the insides of your windows, too. But what if I want to do it myself? 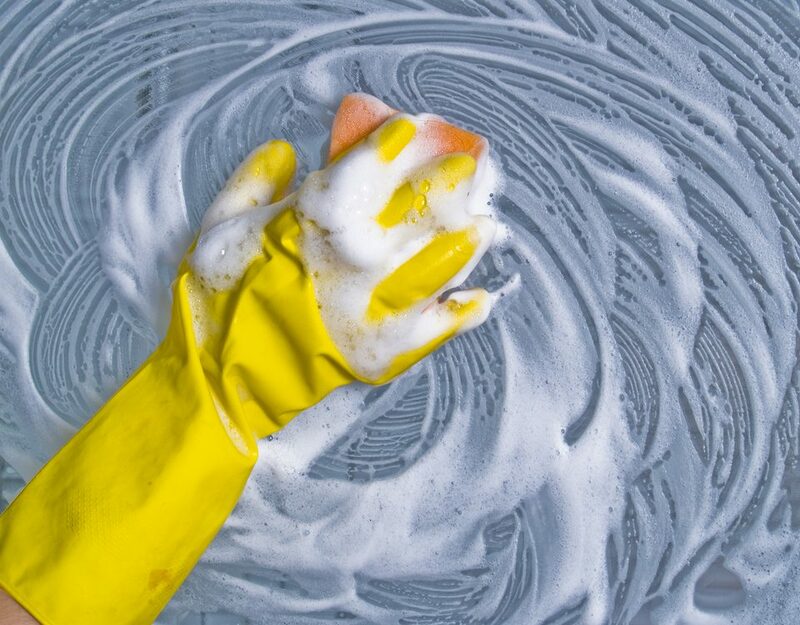 You obviously don’t want to call us around every time you have a chocolate hand-print incident, so we thought we’d put together a few ideas on how you could keep the inside of your windows perfectly clean for cheap or free. The key ingredient here is vinegar. We’ve used it before, it’s fantastic, so why not use it again to get the chocolate egg off the windows? It’s perfect for the job. The first thing to do is to make up a vinegar window cleaning solution. You do this by getting distilled vinegar. This is different to the stuff you put on your chips, so beware! You’ll find it in the same aisle as the malt stuff, and it’s about the same price, so it’s useful to keep some in the store cupboard. How much you need depends entirely on how big your windows are. The ratio is one part hot water to one part distilled vinegar, which is easy enough to do. Simply empty the contents of the vinegar bottle into a bucket, and then top up with exactly the same amount of water. That should be enough to do most of your downstairs because we’re not going to soak the windows, merely wipe them and dry. So, grab your sponge and dip it in the solution. Squeeze until most of the water is out. This is important. Dripping water outside is no problem at all, inside is a different matter because you have important things like sofas, TVs and mobile phones lying about. The sponge just needs to be wet enough so it will deposit the solution on to the window surface. So, once it’s squeezed, apply to the window, one pane at a time. If you’ve got some particularly tough areas of dirt, give them a good rub. When you’re done, grab your squeegee and wipe across and down until the window is dry. A top tip here is to have a dry tea towel at the bottom of the window to catch all the water as it cascades down, you can then use it to dry all around the pane, making sure to get the solution off all surfaces. Something to keep in mind is that vinegar is an acid, and while it’s perfectly safe to use around children and most pets, you might want to keep it off delicate things like your new sofa, the carpet, and other furniture. 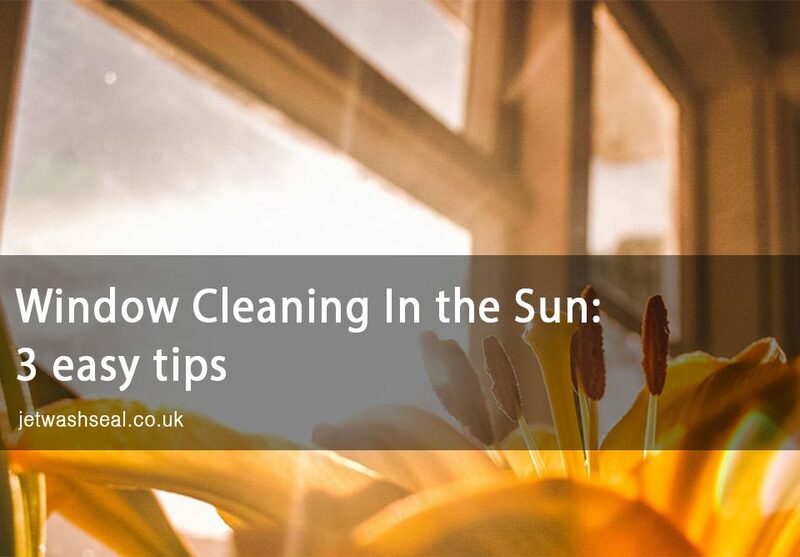 Also, even though most window frames are plastic and therefore perfectly OK to clean with this solution, you should try rubbing it in a small inconspicuous area first to make sure there’s no reaction. The same goes if your windows are framed by wood or some other material. Always check first, and if in any doubt, call us, and we’ll do it for you! 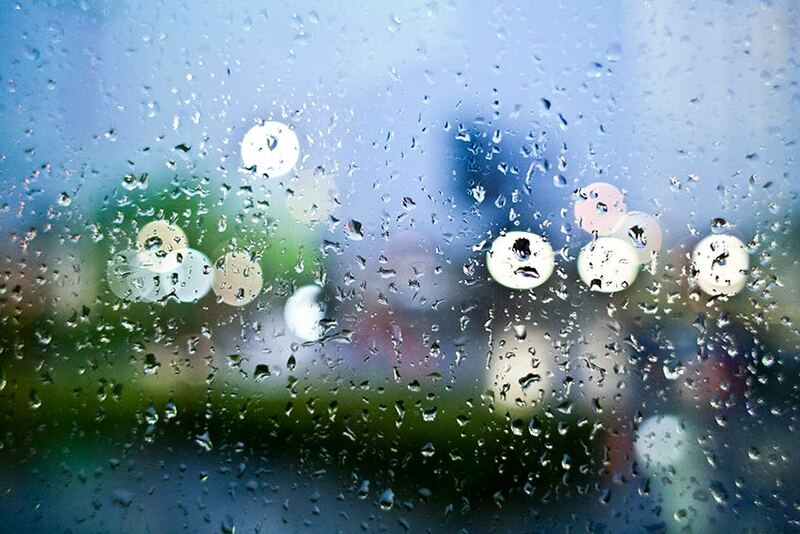 Can You Clean Windows If It’s Raining?